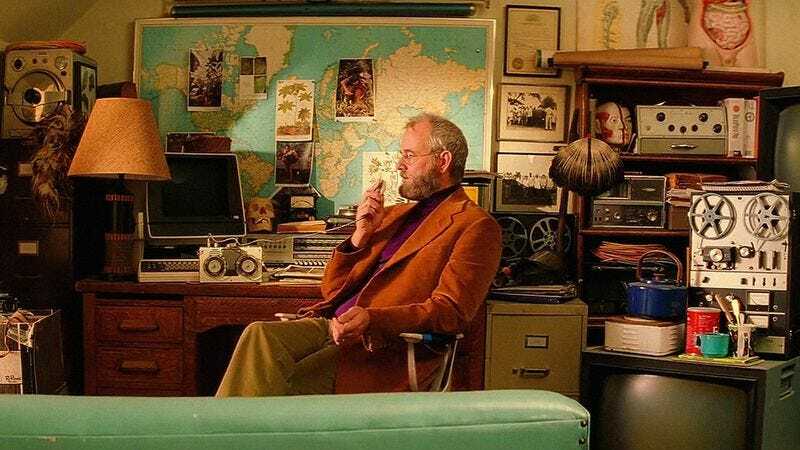 Today in news that apparently we didn’t know about already, Bill Murray has joined the cast of Wes Anderson’s next film. If that news sounds familiar, it could be because Murray has appeared in almost all of Anderson’s other films, or it could be because we’re all suffering from a sense of déjà vu brought on by a recent encounter with alien life and the so-called “men in black” who don’t want us to know about them. Anyway, the Bill Murray news comes from Indiewire, which quotes Murray as saying that he’s “very excited” for the project, and that he’s “playing a dog.” As we reported back in October, Anderson’s movie will be about stop-motion animated dogs, so Murray isn’t just saying nonsense there. We also previously reported that the film will feature Edward Norton, Jeff Goldblum, Bryan Cranston, and Bob Balaban, at least some of whom will also probably be playing dogs. Indiewire doesn’t know “what stage of production the movie is at,” but considering that Anderson still hasn’t added Owen Wilson, Jason Schwartzman, or Anjelica Huston to the cast, there’s clearly still some work to be done.